All Millville homes currently listed for sale in Millville as of 04/23/2019 are shown below. You can change the search criteria at any time by pressing the 'Change Search' button below. If you have any questions or you would like more information about any Millville homes for sale or other Millville real estate, please contact us and one of our knowledgeable Millville REALTORS® would be pleased to assist you. "You have to see this amazing house! Fully renovated top to bottom. Starting out with the fantastic .63 acre lot. You will love the Mature tree filled yard. New sprinkler system, plus irrigation to water cheaper. Beautiful exterior updated a little over a year ago with a new roof, all new paint, new side walks, big back patio that is covered with a new 575 sq ft trex deck that is shaded by the big trees most of the day. Great fire pit spot with a view of the south end of the valley. Relax by the canal that runs along the back of the property and feed the ducks. Perfect yard for the kids to play and plenty of room to have a pasture an orchard or a soccer field. Make your way inside to the exquisite open floor plan. The front room drops down for a cozy spot for guests to gather. Or move into the jaw dropping kitchen with its unique resawn wood cabinets on the bottom and the classic white cabinets on top. Granite counter tops around the outside and a huge 6x12 concrete counter top island. You can sit 8 people around the bar, have food out, still have prep space, and still have space for friends and family to gather around and visit. Huge double fridge, two ovens, built in microwave. Very nice pantry with laundry chute to the laundry room below. Dining room opposite from the kitchen on the other side of the double sided fireplace, with a walk out to the huge deck. Accent walls in every room add to the design and character of the home. The master bedroom has an amazing on suit bathroom with a great soaker tub and separate walk in shower. Custom hand made barn doors all around. Custom one of a kind hand railing as you make your way down stairs to the family room with room for tv, a game table, wood burning fire place that is also stubbed for gas, desk area, and a drinking fountain just in side the walk out to the patio. Big Laundry room so all the kids laundry can stay down stairs. Play spot under the stairs for the little ones and a drinking fountain. Four bedrooms with c"
"Wow! 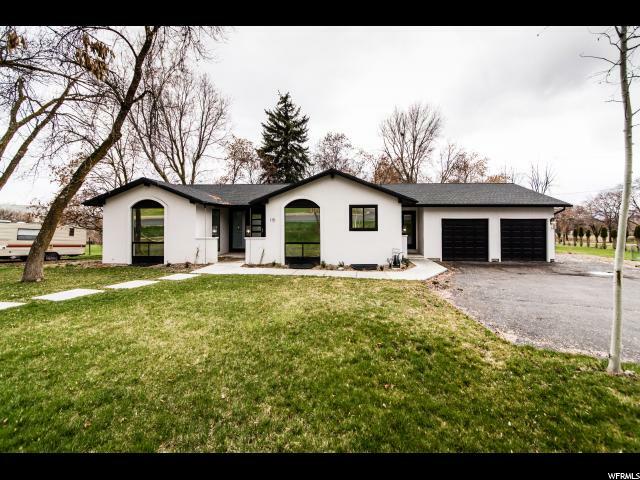 Almost new home on the upper east bench with stunning views of the majestic Cache Valley mountains! 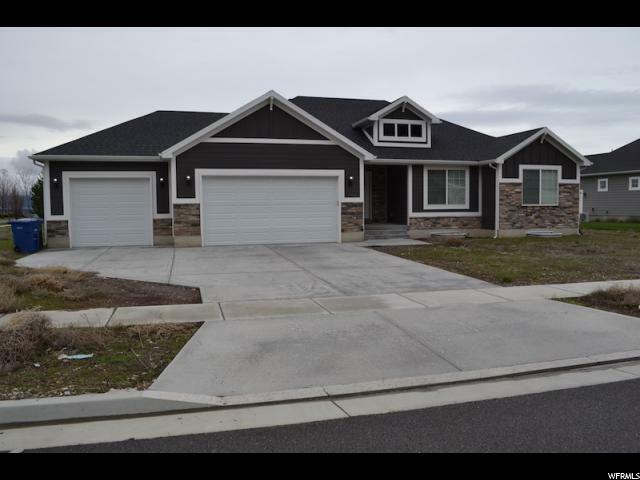 This home features a spacious great room for spending quality time with family and/or guests, a large kitchen with crisp white cabinets and elegant black granite countertops....everyone will be jealous of your new kitchen! It also boasts a large 3-car garage, upgraded stainless appliances, water softener and water filtration system, and vaulted ceilings that make the home feel bigger than it already is. Come take a peak and you'll be impressed! Buyer/Buyer's Agent to verify all information. " "This is home is totally remodeled. On this DEAL, you are getting the property plus another piece of land worth over $60,000!!! The home was completely remodeled at the end of 2018. The house has 2 kitchens, 2 masters bathrooms with Bluetooth Speakers incorporated, two 3/4 baths, 2 brand new furnaces, basement entrance, and fireplace. All the windows in the house are brand new and they come with chile-safe (free Cordless) blinds. The dishwasher and the range are brand new. You will have Plenty of room to spread your wings on this property. The carpet in the home is brand new and comes with a warranty. " "Desirable Millville Location! 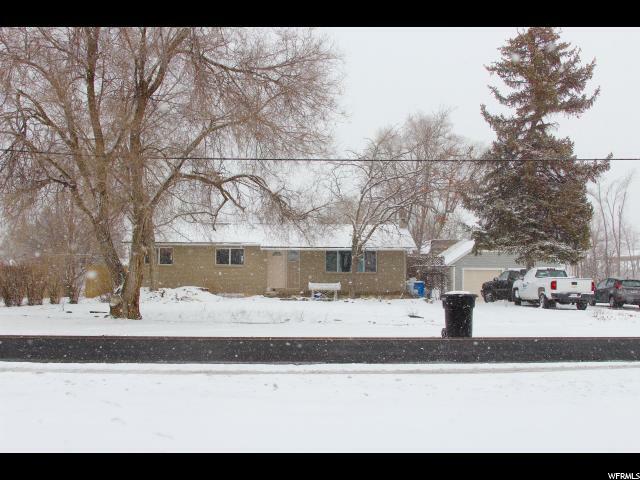 Spacious 4 bedroom home with den that could be turned into 5th bedroom. Home features open floorplan, vaulted ceilings, jetted tub and walk in closet. Walk out basement. Make your appointment today! "